While family and friends can be the key to a successful vacation rental property, they also can be a major pain in the backside. One of the most difficult things to handle — and the biggest obstacle to your bottom line — is when Uncle Fred wants to use your getaway for two nights — midweek — during the final week of the peak rental season when you could have booked the place for top dollar for 30 consecutive nights. If there is no way around Uncle Fred’s two-day presence, ask if he can move his dates to the beginning or end of the rental week when you still could salvage four or five nights of prime rental income. If that’s also impossible, call the renters on both ends of Fred’s dates and ask if they would like additional days at a reduced rate. You could turn out to be a real hero to both groups, especially if they are arriving by car and don’t have to alter their airplane dates. While many owners choose a weekend day for comings and goings, adjust your start and end dates with the most common mode of transportation. For example, if most of your visitors will have to arrive by air, the least expensive days to fly typically are Tuesday and Thursday. Depending upon the region, Saturdays can be inexpensive, too, and also in line with your competitors. That fact often surfaces when friends are staying in the same area yet at another property. Friends like to vacation with friends, and common arrival dates make for happier campers. Many of your decisions to accommodate unorthodox requests like Uncle Fred’s must be made with cleaning in mind. If you have booked renters before and after Uncle Fred, make sure you have made arrangements with your cleaning folks (perhaps yourself!) to get the job done before the new people arrive. Altering a cleaning company’s routine during a busy resort season can be nearly impossible, making Uncle Fred’s visit all the more difficult to approve. The key to a successful, money-making second home is satisfied renters who want to return because of the special experience they enjoyed at your place. And, if they were impressed with their time and accommodation, they are going to tell their friends and acquaintances. While you often can’t be there to place a rose in every room every time a new visitor arrives, make sure you take the time between cleanings to scoot back to your property and make certain your people are getting the kind of dwelling you want them to enjoy. Another way to ensure your bottom line is to encourage your guests to invest in a travel insurance policy. While you might not be able to persuade Uncle Fred to pop for any additional costs to rent your place, it makes sense to offer the option to folks who have plunked down a sizeable deposit. The biggest upside of trip insurance is that it can alleviate the burden of cancellations, refund issues and open dates. “Let’s say you’ve got a renter scheduled to arrive at the end of the month, and you’ve already collected the full rental payment,” Karpinski said. “If your renter calls and has to cancel her reservation due to a family illness, there is little chance you would be able to rebook those dates that late in the game. If, however, she had purchased a travel insurance policy that covers cancellations for medical emergencies, then, generally speaking, any money paid to you should be reimbursed to her by the insurance company. That’s reassuring, even though Uncle Fred could care less about your business judgment. Tom Kelly’s book “Cashing In on a Second Home in Mexico: How to Buy, Rent and Profit from Property South of the Border” was written with Mitch Creekmore, senior vice president of Houston-based Stewart International. The book is available in retail stores, on Amazon.com and on www.tomkelly.com. 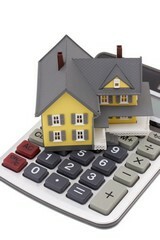 See Tom Kelly’s feature, Empty House May Cost More to Insure.